As you all know I was in DC earlier this week, and I was so bummed I never had a free hour to stop by my favorite bakery, Le Pain Quotidien, for a meal. 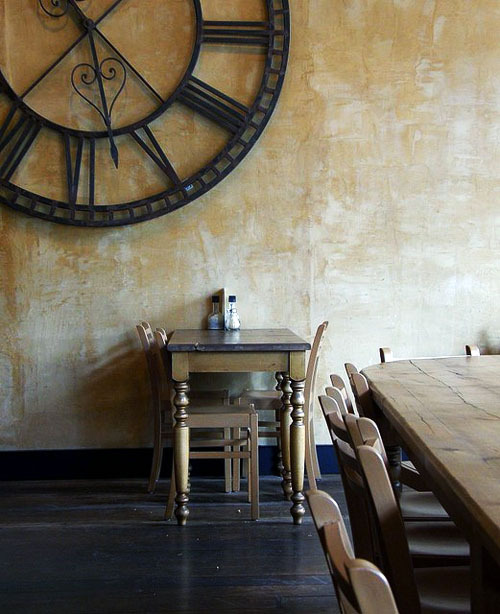 French for The Daily Bread, this rustic restaurant looks as great as the food tastes. Founder Alain Courmont opened shop in 1990 in an effort to provide his city of Brussels with what he considered high-quality bread. He furnished the first shop with antiques and an oversized table from a local flea market - an aesthetic that has carried on to all of their locations worldwide. Many of the pastries, breakfast, and lunch items - including their fabulous omelettes, tartines, and open-faced sandwiches - are made from organic and local food producers. Translation: it's not the cheapest bakery on the block. But it is the best. 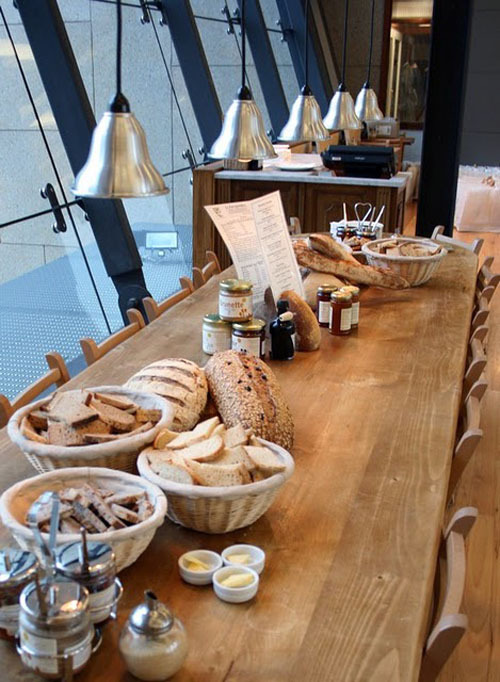 Every Le Pain Quotidien boasts a trademark communal table, just like the original shop had. These oversized wooden farmhouse tables, which are typically centered in the restaurant, offer seating to both groups and individuals who can then talk and enjoy their meals together. Perfect for the lonesome traveler like myself! I sat at the communal table when I was in New York last February and had some great conversation with two people I never would have met otherwise! 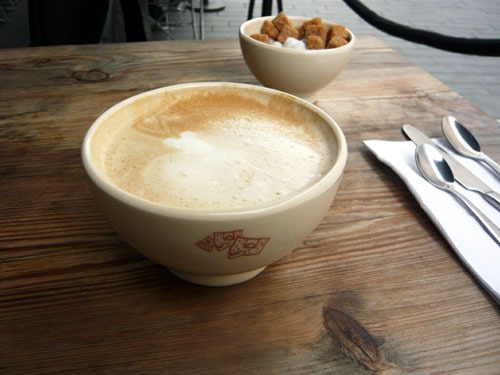 If all of this wasn't great enough, their cappuccinos and lattes are served in bowls. Love. And the food is as pretty as it is healthy and delicious. And on each of the tables awaits four jars of the most delectable, sugary spread you ever did taste. 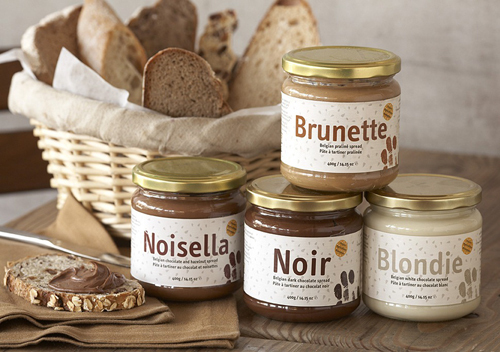 Le Pain produces their own versions of Nutella-like spreads for your yummy bread and pastries. Noisella is chocolate and hazelnut (so essentially Nutella), Noir is dark chocolate, Blondie is white chocolate, and Brunette is a praline spread. Oh. My. Gawd. If I've said it once, I'll say it again - GO FOR THE BRUNETTE! I tried bringing a jar of this back home with me last time I visited DC, but the cruel and unusual TCA man made me THROW IT AWAY because "it's a liquid." I tried pleading with him. "This is no liquid, sir. This is a praline spread from Belgium!" He was not impressed and made me throw it away, anyway. $10 of deliciousness. In a small plastic waste can at Reagan Airport. Tears were shed. IF you are lucky enough to live in or visit New York, DC, or LA, make sure to stop in as those are currently the only U.S. cities playing hostess to this international bakery. And if you are in Europe where Le Pain Quotidiens live happily in cities around the continent, I hate you. This looks seriously amazing. Bread + sweet spread... yum! I'm sure I could inhale an entire loaf. mmmm i am a BIG bread fan. xoxo jillian:: don't miss my fishs eddy dish giveaway! Creepy blog stalker that never comments, reporting for duty!! 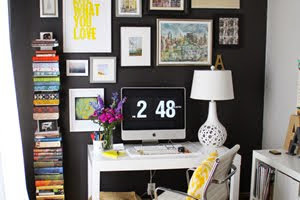 So yeah, I don't usually comment, but I've been reading your blog every day for most of 2011... This is the first post of yours that I have been kind of turned off by... I live in LA and Le Pain is pretty much considered here an overpriced chain bakery with crappy service that (mostly) only tourists go to. You've definitely inspired me to give the place another try, but maybe the NY and DC locations are simply better than what we have out here in Cali...? I went once in LA and loved it. So sad that you had to throw away that spread. Can you order it online?? The first time I went there was in NYC and fell IN LOVE. Soon after they brought 2 locations to Toronto, couldn't be more excited! 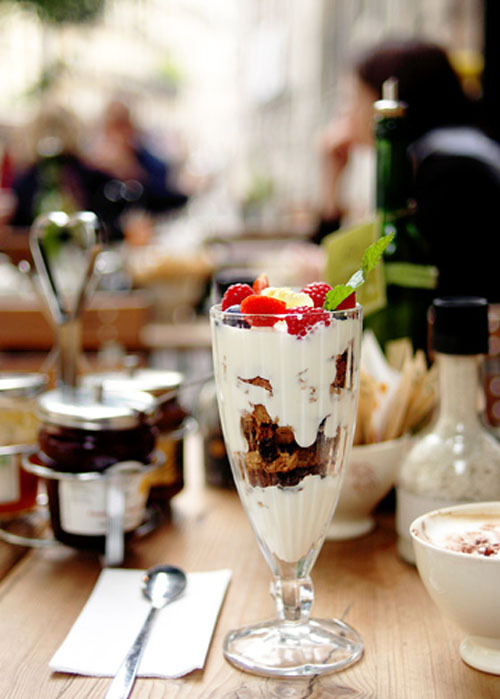 Is one of my favorite places to eat, love going in the morning for the Granola parfait. And love having lunch there too. 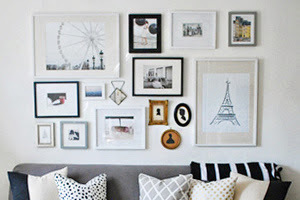 The spreads are to die for! As soon as they hit the shelves they sell out very quickly in Toronto, they are hard to get! Aww, you´ve just made me hungry! I looks so amazing, delicious and perfect, I just need to go to their NY spot when I´m there in 2 weeks! Thanks for sharing this, Alaina! I am lucky enough to work within walking distance of the Dupont one and it is my FAVORITE lunch spot. When there I stock up on their Hazelnut spread. I never thought I'd say it, but it is BETTER than Nutella. Aww...I live in DC. Want me to send you some Brunette spread?